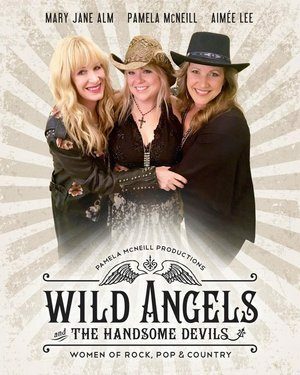 Wild Angels & the Handsome Devils. Hear the hits by some of the music business’ biggest female stars: Janis Joplin, Adele, The Dixie Chicks, Miranda Lambert, Heart, Shania Twain, Pat Beneath, Bonnie Raitt, Carrie Underwood, and more! Featuring Mary Jane Alm, Pamela McNeill, and Aimee Lee.